Estell will take the guess work out of choosing the best treatment option for you. An evaluation of your skin using a wood’s lamp (black light), which is unparalleled in identifying skin types, as well as detecting undiscovered dry spots, clogged pores or future sun damage from the deeper layers of the skin. Clients will also receive assistance in setting up a home care regimen and professional skin care product programs for the individual’s needs. • Paraben Free, Clinical Products. Blended with plant-derived Stem Cell Technology, multiple peptide chains, potent antioxidants and healing minerals. Because no two complexions are the same, all facials are customized to each individual’s needs. A wide variety of skin care treatments are offered for Aging, Sun Damage, Dehydrated, Oily, Acne and Rosacea skin types. 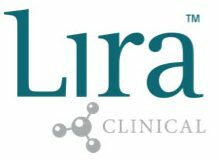 I use Lira Clinical products. Facials include cleansing, steaming, exfoliation, custom masking, yummy warm towels, relaxing massage (arm, hand, neck and scalp) toning, moisturizing, and essential oils and sun screen as determined by your skin care analysis. Healthy Start Facial- $75 This facial gives you a Healthy Start in protecting your skin against aging and sun damage. This specialty blend of hydrating peptides and plant stem cells will plump up fine lines, wrinkles and heal aging skin. Rich antioxidants help to nourish and renew. Fruit enzymes smooth and polish your skin. The perfect balance of nutrition for healthy young looking skin. Gives your skin that picture perfect glow! 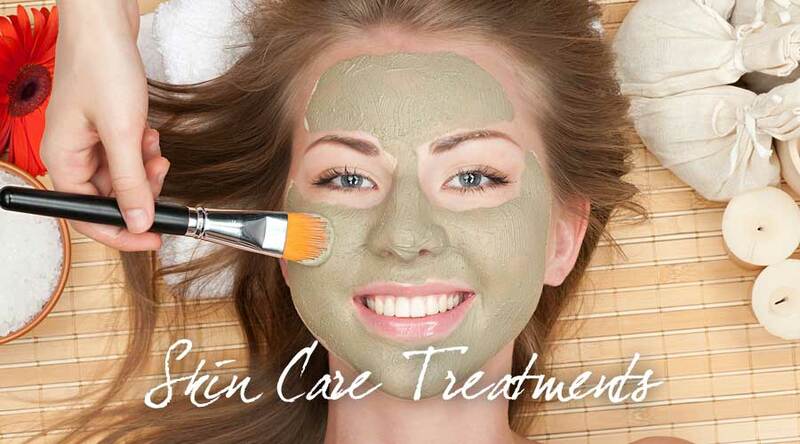 Anti-Aging Rejuvenating Facial-(75 min) $85 Lighten and brighten skin tone while refreshing and rejuvenating your skin. A deep cleanse followed by enzymes to exfoliate dead skin cells, leaving your skin brighter with tighter tone and texture. An anti-aging facial massage will help lift and tone. Light Therapy is then applied to stimulate collagen production. A soothing hydrating mask and healing peptides will leave your skin refreshed and renewed. Anti-Aging Massage Facial-(30 min) $40 Relaxation and Anti-Aging at its finest. A customized cleanse is followed by Anti aging Acupressure and Massage manipulations with luxurious anti aging oils, antioxidants and skin lighteners. Serums, moisturizer and spf finish up this most relaxing facial massage. Ultra Sonic Deep Pore Cleansing- $75 The Ultra Sonic deep cleansing vibrates debris and dead cell build up from clogged pores. Reduce fine lines and wrinkles with a double exfoliation, the Ultra Sonic scrubber and an all natural fruit enzyme packed with antioxidants to nourish stressed skin. A hydrating soothing mask that helps sooth and nourish the skin with plant stem cells leave your skin feeling refreshed and clean. Clear Complexion Facial- $75 Enjoy this squeaky clean facial – with a deep pore cleansing to help balance oily, combination and acne skin types. Remove impurities from clogged pores and exfoliate dead skin cells. Extractions are followed by high frequency to assist in eliminating bacteria and blemishes. Soothe and heal the skin with an all natural detox mask. Zit Zapper Express-30 min-$40 Similar to Clear Complexion Facial. No massage or masking. Great for teens! Diamond Peel-$75 Do You Have Dull skin, hyper pigmentation, enlarged, or clogged pores or rough skin texture? This is a safe, natural, holistic alternative to chemical peels. This resurfacing tool gently and thoroughly exfoliates by removing the top layer of dead skin cells with finely crushed diamonds. This technique helps to stimulate collagen production, smoothing uneven skin tone and texture, remove sun damage, age spots, smooth acne scars. Leaving your completion velvety smooth, fresh and rejuvenated with no downtime! Skin on the elbows, knees, hands and feet or chest and back can also be treated. Peels-$40 As a stand alone service treatment with no fluff, 30 minutes or add on to any other facial for $20. Photo Light Therapy Facial- $75 The benefits of Light Therapy – Stimulating production of collagen and important skin proteins and improving blood flow in the capillary system. These are valuable benefits working on the internal layers of the skin to help improve firming, toning, reducing fine lines, sun damage, age spots, broken capillaries, Rosacea, enlarged pores, acne and scars. Anti-Aging Décolleté Treatment-$30 Exfoliate, brighten, hydrate and smooth your chest, giving it back that radiant youthful glow. Rejuvenating Hand Treatment-$20 Over worked dry, sun damaged hands? Brightening and hydrating for younger looking hands. Treats pigmentation/brown spots, dry/rough hands and cuticles. Bright Eyes-$20 The first place your age shows is the eyes! Reduce fine lines, hydrate and brighten dark circles. Back Facial-$40 Customized treatment to cleanse, exfoliate, steam, extract, and moisturize the back. There are a variety of chemical peels that are used to exfoliate the skin, and each has their own specific purpose in affecting the skin cells and tissue regeneration. Peel treatments are recommended for skin with sun damage, dull, dehydrated, fine lines, uneven skin tones, excess oil, enlarged pores, acne, and minor scars. These modernized formula chemical skin peels with plant stem cells are tailored to each individual’s skin type and needs. Vita C Enzyme Peel – $80 Does your skin need a little boost? Repair and brighten over-worked sun damaged, dehydrated skin with a strong dose of Vitamin C that provides intense lightening, tightening and hydration. Enzymes exfoliate dead skin cell build up to replenish, protect and strengthen the skin leaving your skin refreshed and renewed. Improves tone, texture, fine lines, wrinkles and enlarged pores, while giving your skin back that healthy Glow! Pumpkin Peptide Peel –$80 This universal anti-aging treatment infuses the skin with vital nutrients and antioxidants like retinol, pomegranate and mango. Exfoliates dead skin cells and stimulates collagen activity, helping to reduce fine lines, wrinkles and sun damaged skin. Leaves the skin hydrated, feeling smooth, and bright for a more youthful appearance. Great for acneic, pregnant, diabetics or women who are “on the go”. Lactic Refiner – $80 Blended with organic pigment suppressant, hyaluronic acid, green tea and echinacea, and antioxidant, this is the peel of choice for pigmented, sun-damaged and dehydrated skin. Excellent for darker skin types and hormonally imbalanced skin. Green Herb Peel-$90 Safe for all skin types and pregnant women the Green Herb Peel is a natural peel will stimulate circulation, rejuvenate the skin and bring out that healthier younger skin. Infused with organic melanin suppressants, hyaluronic acid, green tea and Echinacea antioxidants and plant stem cells to repair, rebuild and refresh the health of your skin. This a great treatment to treat pigmentation, fine lines, sun damage, dehydrated, dull skin, enlarged pores, acne scars, and oily skin types. Retinol Peptide Peel – $80 This progressive peel has amazing anti-aging, pigment balancing and acne reducing properties. Taking your skin to a more optimal state of health and improving the over all cell repair, tone and texture and brightening of the skin. With a powerhouse of plumping Peptides infused into this treatment, the skin will strengthen, tighten, visibly lifts, and reduces fine lines and wrinkles. Sal Pulp Definer – $80 This antioxidant peptide salicylic peel is the perfect peel for acne-prone and congested skin types. This treatment is designed to rapidly exfoliate the epidermal cells, unclogging pores, reducing pore size, scarring and pigmentation. Glycolic Retinol Re-builder – $80 Renew your skin with this anti-aging blend of glycolic and retinol to improve fine lines, wrinkles, pigmentation, uneven tone and texture, rejuvenating cell repair and improving the over all health of skin. A great age prevention treatment!